A senior Algerian government official under the condition of anonymity has revealed that authorities are preparing to invite foreign and private investors to acquire controlling stakes in state-run banks. There are six (6) state banks in the country and they dominate the market but the low oil prices are forcing the government to develop its financial market by listing them on the local stock exchange as part of its diversification strategy of the economy. The official stated that “reforms will move slowly but there will be no step backwards.” The government is expected to reform its investment law, which states that state-owned companies should always have at least 51% of stakes in any joint partnership within the country. 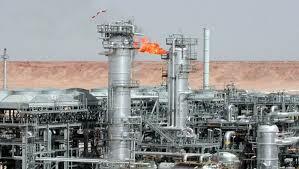 60% of Algeria’s budget is funded by the oil and gas revenues that accounts for 95% of its export. The International Monetary Fund (IMF) is expecting the revenue from oil and gas to fall by almost 50% this year when compared to that of 2015. The Gross Domestic Product would also shrink by 3% according to the IMF. Algeria’s economy has been largely based on a state-run and centralized system since its independence from France in 1962. It also has a vast welfare system but there have been tax reforms and subsidy cuts as part of efforts to limit public spending. To increase the revenue generated from its hydrocarbon exports, state owned Sonatrach will be building a 10MW solar plant in partnership with Italian Eni. The energy will be destined for local consumption in order to increase oil and gas exportations. Written by: Jaber Ali on September 28, 2016. Posted by Jaber Ali on Sep 28 2016. Filed under Energy, Finance, Headlines, World News. You can follow any responses to this entry through the RSS 2.0. Both comments and pings are currently closed.